Give today to stabilize lives and rebuild communities. Last September, devastating hurricanes left residents in the Caribbean without safe housing, clean drinking water or electricity. Right now, RCAP Solutions is on the front lines helping those who have been overcome by these recent events. In the Caribbean, we have an experienced, technical assistance team in Puerto Rico, assisting municipalities with the tools to provide safe drinking water to residents and offering focused efforts in the areas of water, wastewater, infrastructure, and waste reduction programs. Locally, we are working with the Commonwealth of Massachusetts on resettlement efforts for those individuals and families leaving Puerto Rico and the USVI to establish residency in Massachusetts. 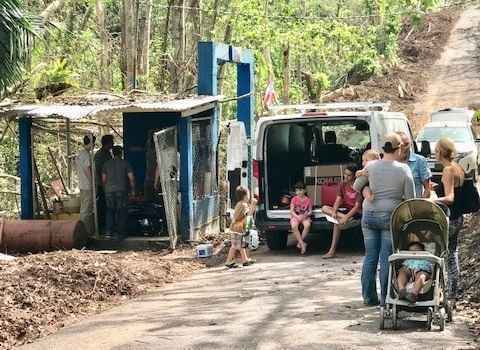 I witnessed first hand in Puerto Rico the excellent work RCAP Solution is doing. The communities they server need and deserver their assistance! Water is life but electricity is longevity for my family. It is a pleasure to contribute to such a worthy and wonderful organization. Thank you for helping others in needs, that mean you care for people and communities...!!! RCAP Solutions' help with drinking water and sanitation is a critical resource right now and in the future, thank you for all you do!